Air Guitar, 1978 © Joseph Szabo. You have to admire the hustle of the two high school seniors in offering their art teacher a free ticket to a Rolling Stones gig in exchange for a lift to the venue. 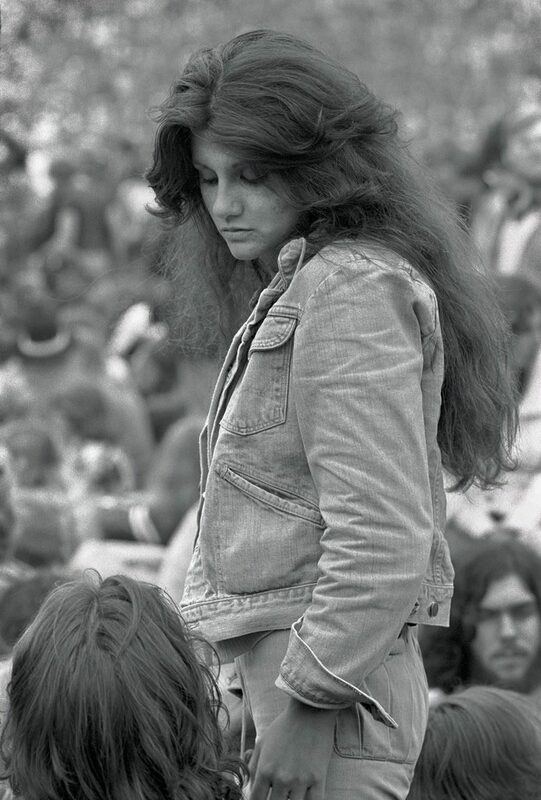 It seemed like a fair deal, so Joseph Szabo talked it over with his wife and decided to take his students up on their offer. This was 1978 — a more innocent time — and the Szabos recognised it as an excellent opportunity for the teacher and keen photographer to further explore an area of artistic interest he had been pursuing for a while. Szabo had taken a teaching job at a school on Long Island, but things didn’t get off to a great start. His students were taking his class to gain the compulsory arts credit to graduate, and most weren’t especially interested in learning about art. The young teacher knew he had to find some way of engaging their interest and building a rapport, and turned to photography as a solution. Szabo began photographing his students in class, which ignited an interest in the discipline among his reticent group. He then became involved with the yearbook, eventually establishing a photography programme including the setting up of a dark room for the students to use. 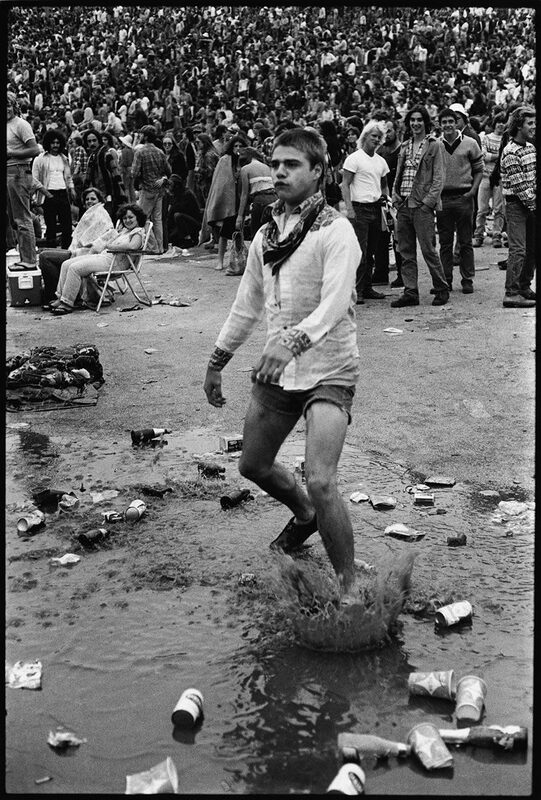 From inauspicious beginnings, Szabo was soon the school’s cool teacher, continuing to document teenagers’ lives in school and outside at parties, on street corners and hanging out at the beach. It wasn’t such an unlikely occurrence, then, for Bill Carraro and Chris Davies to ask Szabo for the ride from New York to Pittsburgh’s JFK stadium to see the Stones on their American tour promoting Some Girls. Although the teacher wasn’t a big follower of contemporary rock, he had installed a radio in the school dark room in an effort to liven up the laborious film development process for his students. Tuned to the big stations of the day, he and the kids listened to the Stones, Led Zeppelin and the like as they worked on their photography projects. 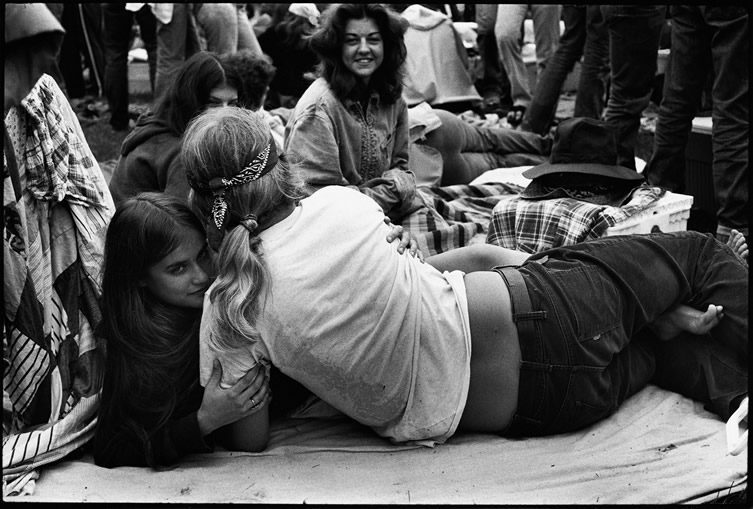 Blanket Couple, 1978 © Joseph Szabo. While Szabo looked forward to hearing the music, his real motivation for making the drive to the gig was the audience that the Stones would draw. 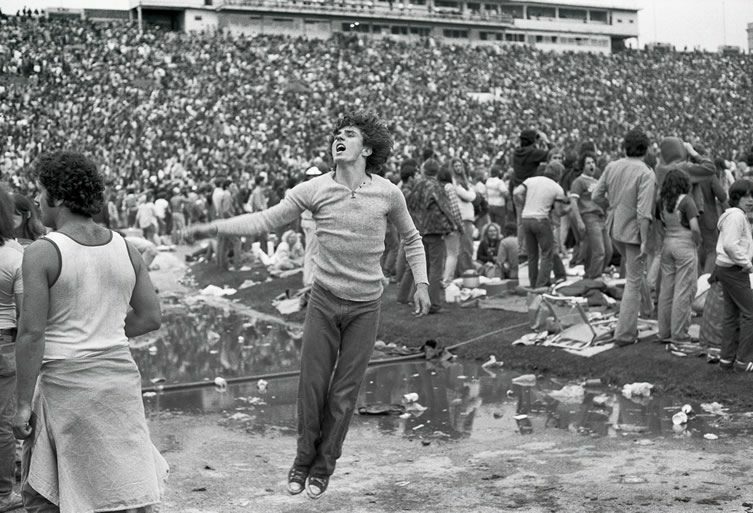 The stadium would be packed with tens of thousands of teenagers and young adults — the subject of the artist’s ongoing project that was to be published in book form later that year and would make his reputation as an outstanding documentarian of youth culture. Almost Grown, and the later expanded version Teenage, have since become recognised classics; Cameron Crowe, director of coming-of-age rock love letter Almost Famous, compiled a soundtrack to accompany Teenage on its release. So it was that the biggest rock and roll band in the world, the Rolling Stones, provided the soundtrack to a day of intense action. 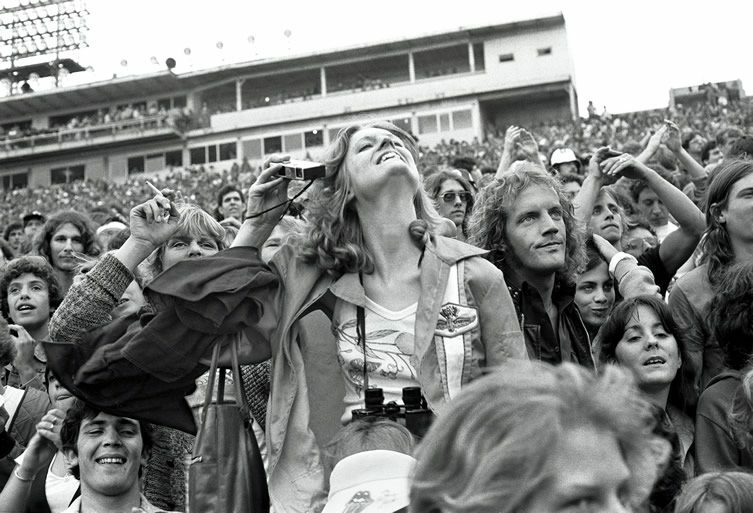 The day before the daytime summer concert had been unseasonally wet, and the weather on 17 June remained overcast — not ideal for 90,000 concert-goers at a soggy open-air stadium, but perfect for a photographer of people due to the lack of harsh shadows and glare. Armed with several cameras and a bagful of film, Szabo had come anticipating a productive time, and he wasn’t disappointed. 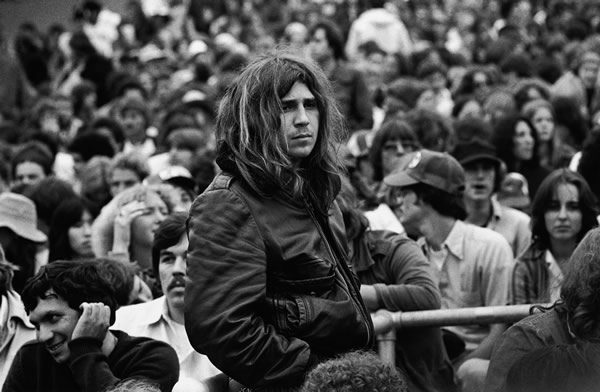 He relentlessly explored the crowd, working until near exhaustion and shooting hundreds of frames. A small selection of the images he captured that day formed part of the earlier publications, but it wasn’t until a few years ago that their creator revisited his contact sheets to fully re-evaluate the concert series in its entirety. It was, of course, only a matter of time before the highlights of that day in Pittsburgh received the release they deserve, existing as they do at the perennially cool confluence of youth, music and nostalgia. Szabo, in the tumult of the concert, oscillates between candid and posed encounters. Delight, 1978 © Joseph Szabo. Soaring, 1978 © Joseph Szabo. What he committed to film also sways, from exuberant, joyful abandon to indifference, exhibitionism to shyness (and occasionally suspicion), and captures the gamut of teenage behaviour in microcosm. One thing you won’t find in Rolling Stones Fans, as the title hints at, is any pictures of the band on stage. 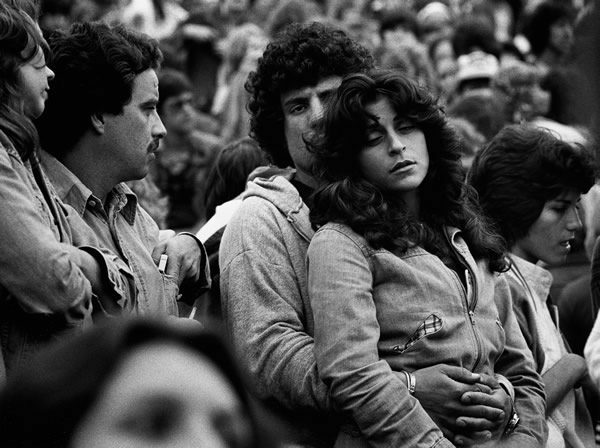 Szabo’s book, like his attention that day in Pittsburgh, is focused entirely on the audience. They are the real stars of the show. You started off photographing your students in class. Were they instantly positive, or did it take time for them to warm to the idea? It took the students a little time to warm up to the idea of me photographing them, but it happened quickly. I don’t think it had been done before in my school but at the right moment, most students liked the idea. The camera shy students were hesitant, and I always respected them. Do you think you’d get the same positive reaction from high school students today? Today it seems like schools and parents are rather wary of teachers photographing their students. So in these times, I think, it would be more difficult. Have you noticed a change in attitude towards photography — especially around young people and candid photography? How do you feel about it? At the moment I’m working on a project entitled Lifeguard; when I go to the beach, young people seem to like me photographing them. I think it is because of my approach, and they trust me not to post photos on the internet that might embarrass or hurt them. 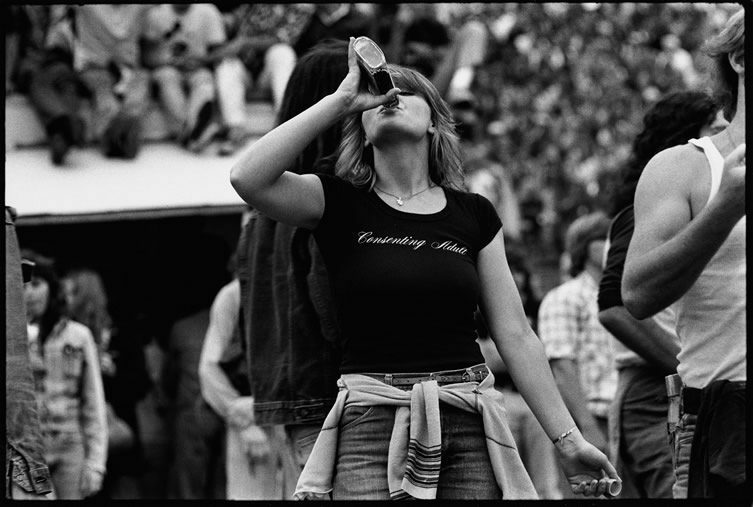 Rolling Stone Beauty, 1978 © Joseph Szabo. How does your process differ today than in 1978, if at all? Has technology changed how you work? Most photographers, I think, do digital — and very few do traditional darkroom photography. Even so, with my digital camera I keep my approach one of trust … so my photos have the same look and feel. Who are your favourite photographers? Can you point to their influence in any of the book images? Some of my favourite photographers are: Helen Levitt for her deeply felt images of New York people … Cartier Bresson for the beautiful forms and compositions … and Sebastio Salgado for his concern with man and the earth. Also, William Klein for his experimental and spontaneous approach. And finally the most important question… what’s your favourite Rolling Stones song? 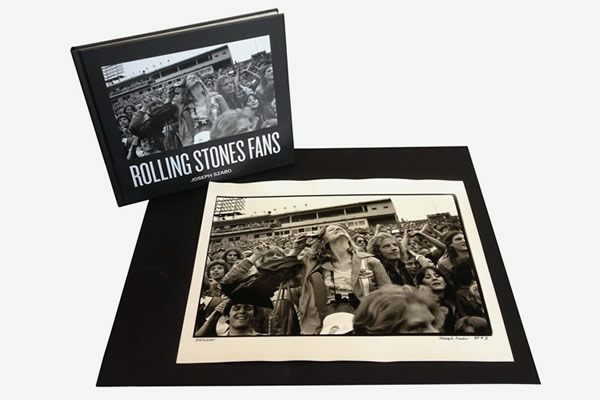 Rolling Stones Fans by Joseph Szabo is published by Damiani Editore.